"Carla is a knowledgeable broker and is always ready and willing to show homes. 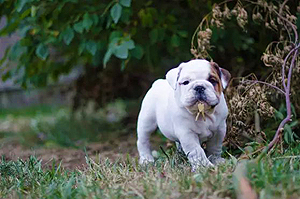 She has made the house hunt fun!" "Carla was awesome to work with, she was always willing to be available to show me houses at my convince, this was important to me as my schedule is very tight with work. If she didn't know the answer, she found a way to find it for me. I loved working with her and can't thank her enough for being there for me. Thank you Carla." "We made our initial contact with Carla through Zillow. At that time we were looking in the Mount Vernon/Anacortes areas. Carla showed us a number of houses in our price range. We decided to expand our search to Bellingham. Carla very graciously offered to defer to a Bellingham realtor who might know know more about that market. After having spent a few days with Carla, however, we didn't want to do business with anyone else. We quickly found the perfect house for us. Carla helped us evaluate the property and come up with an offer that was structured to our needs and some things we wanted done to the property. She suggested creative ways to get the package into our overall price goal. She handled all the give and take with the seller's agent and the lender. Every email was answered promptly, and Carla was always available to us regardless of the day of the week or time of day. When a last minute zoning/engineering question arose, she accompanied us to the City Planning Department and helped us to understand the process and ask the right questions. Although we were well into the transaction, we never felt any pressure from her to go through with the purchase if it wasn't absolutely what we wanted. The bottom line is that we liked her and trusted her judgment. By the time it was all over we felt like we were dealing with a good friend and not just a very capable agent." "Carla is incredibly personable and friendly. People immediately feel comfortable and her cheerful demeanor and friendly smile immediately put you at ease. Carla is hard working and makes very good use of her time--responding quickly and working efficiently. 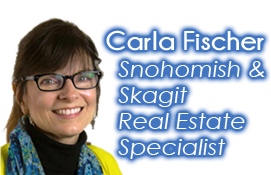 In a world of "glossy" real estate agents, Carla is like doing business with a close friend or family member. She is an absolute pleasure to work with." "Carla is very patient and kind. Its a big decision to buy a house. Used or new. She tried to help find the perfect home for me to buy. She was always willing to help find information and prices. She was very patient with my ever changing mind. She tried hard to get answers to all of my questions. Carla was great to work with. We were moving from out of state and had a short time frame to find a house that would meet the needs of our growing family. She dedicated a lot of time to us and found the perfect home. I would never hesitate to use Carla again." "Carla was available every step of the way. She got me in contact with the perfect Mortgage Officer as well. She made this whole process feel easy and alleviated a lot of the stress that I hear normally is part of the process. On top of always being there and being very helpful, she also got me a wonderful deal. I would highly recommend her to anybody who is looking to purchase." "She is extremely knowledgeable about buying a home, yet her best quality is how she makes you feel completely at ease in what is a stressful and huge decision. She is by far the best real estate agent I have ever dealt with!" "Carla was wonderful to work with. She was flexible with our crazy schedule and gave us good honest advice since it was our first time buying a home. Carla also was great at communicating with us during escrow to ensure we had a smooth closing process."